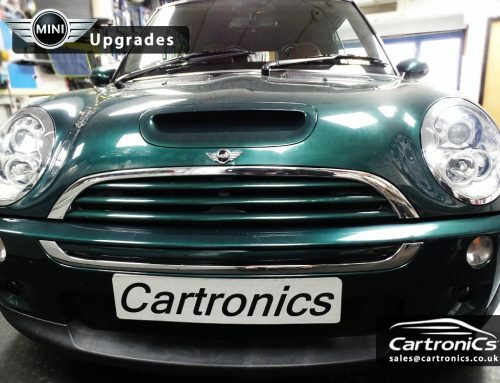 This (BMW) Mini Cooper R60 had the full satnav system fitted at the factory, now the customer wanted to integrate his iPhone and iPod for full music and hands-free calling via the original system. We integrated this with a mObridge ABT2010, this allowed full control and a great factory look. We coded the car onsite with our BMW coding systems.